The auction concluded at 4.15 pm IST. The highlights of Day 2 were the return of Chris Gayle and Jaydav Unadkat becoming the second most expensive player at this year's event. The auction concluded at 4.15 pm IST. The highlights of Day 2 were the return of Chris Gayle and Jaydav Unadkat becoming the second most expensive player at this year's event. Check out all squads here. That concludes the auction, informs auctioneer Richard Madley. Now get ready for the league which starts on April 7. Goodbye from us and we hope you enjoyed the auction as much as we did. Last player from this set, Javon Searless from the West Indies. He joins KKR for Rs 30 lakh. Nidheesh Dinesan gets Rs 20 lakh from Mumbai Indians. Indrajith Baba goes unsold. Jack Wildermuth goes unsold. Manzoor Dar joins Kings XI Punjab. Dushmantha Chameera fetches Rs 50 lakh from Rajasthan Royals. Pratyush Singh unsold. Martin Guptill, Varun Aaron, Baba Aparajith, Vikas Tokas, Najibullah Zadran, Ashoke Dinda all go unsold. Proceedings resume and first up is the dangerous Chris Gayle. This is the third time he is under the hammer and he finds suitors in Kings XI Punjab. Preity Zinta is happy, so is everyone else in the room. There a thunderous applause to greet Gayle to yet another edition of the Indian Premier League. He gets sold for his base price of Rs 2 crore. Pavan Deshpande joins Royal Challengers Bangalore for Rs 20 lakh. That concludes the second accelerated process, which means players on demand. Here comes another break. Stay tuned, we will be back soon. Chaitanya Bishnoi joins CSK. Sagar Trivedi unsold. Jatin Saxena joins Rajasthan Royals for Rs 20 lakh. Aryaman Vikram Birla finds suitors in Rajasthan Royals for Rs 30 lakh. Kshitiz Sharma joins CSK for Rs 20 lakh. Nidheesh MD Dinesan unsold. Gulbadin Naib unsold. Jack Wildermuth unsold. Monu Singh joins Chennai Super Kings for Rs 20 lakh. Himmat Singh unsold. Mohsin Khan joins Mumbai Indians for Rs 20 lakh. Dushmanta Chameera unsold again. Bangladesh's Mehdi Hasan joins Sunrisers for Rs 20 lakh. Dane Paterson unsold. Kesrick Williams unsold. England quickie Mark Wood joins Chennai Super Kings for Rs 1.50 crore. Chirag Gandhi unsold. Akash Bhandari unsold. Mahipal Lomror joins Rajasthan Royals for Rs 20 lakh. Anukul Roy joins Mumbai Indians for Rs 20 lakh. Lalit Yadav ignored. Harvik Desai finds no takers. Sadiq Kirmani unsold. Athisayaraj V unsold. Pradeep Sahu joins Kings XI Punjab for Rs 20 lakh. Thisara Perera ignored again. Jhye Richardson suffers the same fate. Mayank Dagar snapped up by Kings XI Punjab for Rs 20 lakh. Akhila Dhananjaya goes to Mumbai Indians for Rs 50 lakh. Batsman R Samarth unsold. Keeper Eklavya Dwivedi unsold. Another keeper Smit Patel unsold. Quickie Vikas Tokas unsold. David Wiley unsold. Tom Latham unsold. Luke Ronchi unsold. Varun Aaron unsold. Ben Laughlin joins Rajasthan Royals for Rs 50 lakh. Windies keeper Johnson Charles goes unsold. CM Gautam unsold. Yuvraj Chudasama unsold. Mihir Hirwani unsold. Mayank Markande goes to Mumbai Indians for Rs 20 lakh. Pravin Dubey unsold. Bipul Sharma returns to Sunrisers Hyderabad for Rs 20 lakh. Sayan Ghosh joins Delhi Daredevils for Rs 20 lakh. Shaun Marsh unsold. Corey Anderson unsold. Dale Steyn unsold. Three big names in international cricket royally ignored. SK Ravi Srinivasan goes unsold. Siddhesh Lad joins Mumbai Indians for Rs 20 lakh. Uncapped keeper Prashant Chopra goes to Rajasthan Royals for Rs 20 lakh. Another keeper Nikhil Naik goes unsold. Aditya Tare joins Mumbai Indians for Rs 20 lakh. Mitchell Johnson goes to Kolkata Knight Riders for Rs 2 crore. Tim Southee gets Rs 1 crore from Royal Challengers Bangalore. New Zealand's Ish Sodhi has no such luck, goes unsold for the second time. Naman Ojha joins Delhi Daredevils for Rs 1.4 crore. Parthiv Patel goes to Royal Challengers Bangalore for Rs 1.7 crore. Martin Guptill also comes back but like Gayle no one is interested in him. Murali Vijay and Sam Billings go to Chennai Super Kings for Rs 2 crore and Rs 1 crore respectively. Proceedings resume. Second accelerated process begins. First player is Chris Gayle, he went unsold yesterday. Let's see if he is lucky this time. Base price Rs 2 crore and unsold again. Nobody wants Chris Gayle. Crystal clear it is. Salman Nizar unsold. Sagar Trivedi unsold. Antony Dhas unsold. MS Midhun goes to Rajasthan for Rs 20 lakh. Aryaman Vikram Bela unsold. Shubham Ranjane unsold. Utkarsh Singh unsold. Here comes the lunch break. Stay tuned, we will be back soon. Aaron Summers unsold. Ben Wheeler unsold. Rajat Bhatia unsold. Michael Neser unsold. Jack Wildermuth unsold. Monu Singh unsold. Fabid Ahmed unsold. Akhil Herwadkar unsold. Anirudha Joshi sold to RCB. Chirag Gandhi, Riyan Parag, Himmat Singh go unsold. David Wiese unsold. Kyle Abbott unsold. Dushmanta Chameera unsold. Mehdi Hasan unsold. Kshitiz Sharma unsold. Pratyush Singh unsold. Thomas Helm unsold. Vivek Singh unsold. Lalit Yadav unsold. Indian quick Amit Mishra goes unsold. Athisayaraj V unsold. Andile Phehlukwayo unsold. Dane Paterson unsold. Kesrick Williams unsold. Mark Wood from England goes unsold. Indian batsman Sharad Lumba goes to Mumbai Indians for Rs 20 lakh. Mayank Dagar unsold. Anukul Roy unsold. Kanishk Seth goes to CSK for Rs 20 lakh. Dhruv Shorey goes to CSK for Rs 20 lakh. Matt Henry unsold. Abhimanyu Mithun unsold. Morne Morkel unsold. Lungi Ngidi, South Africa's star performer in the recent Test series against India, goes to Chennai for Rs 50 lakh. Joel Paris unsold. Jhye Richardson unsold. West Indies captain Jason Holder goes unsold. Sri Lanka allrounder Thisara Perera gets ignored too. Jon-Jon Smuts unsold. Sheldon Cottrell unsold. South African Marchant de Lange finds no takers. KM Asif goes to CSK for Rs 40 lakh. Ishan Porel and Vikas Tokas go unsold. Nepal's Sandeep Lamichhane sold to Delhi Daredevils for Rs 20 lakh. Abhishek Sakuja goes unsold. Andre Fletcher also goes unsold. Atit Sheth and Shashank Singh go unsold. Sreevats Goswami is picked by Sunrisers Hyderabad for Rs 1 crore. Smit Patel and Mahesh Rawat go unsold. Australian fast bowler Ben Dwarshuis goes to Kings XI Punjab for Rs 1.4 crore. Cameron Delport goes to Kolkata Knight Riders for Rs 30 lakh. Tajinder Dhillon sold to Mumbai Indians for Rs 55 lakh. Shreyas Gopal finds suitors in Rajasthan Royals for Rs 20 lakh. Akshdeep Nath goes to Kings XI Punjab for Rs 1 crore. Virat Singh proves to be unlucky. So does Baba Aparajith. Deepak Chahar goes to Chennai Super Kings for Rs 80 lakh. Tanmay Agarwal goes to SRH for Rs 20 lakh. Harpreet Singh and former Indian Under-19 captain Unmukt Chand go unsold. Amandeep Khare goes unsold. Billy Stanlake goes to Sunrisers Hyderabad for Rs 50 lakh. Andrew Tye joins Kings XI Punjab for Rs 7.2 crore. The Aussie fast bowler has turned quite a few heads. Adam Milne from New Zealand goes unsold. Barinder Sran goes to Kings XI Punjab for Rs 2.2 crore. Lockie Ferguson and Ben Laughlin go unsold. Tymal Mills from England is also unlucky. Varun Aaron also goes unsold. So does Sreenath Aravind. Australian Jason Behrendorff goes to Mumbai Indians for Rs 1.5 crore. Tom Latham goes unsold. Kusal Perera follows suit. New Zealander Luke Ronchi suffers the same fate. 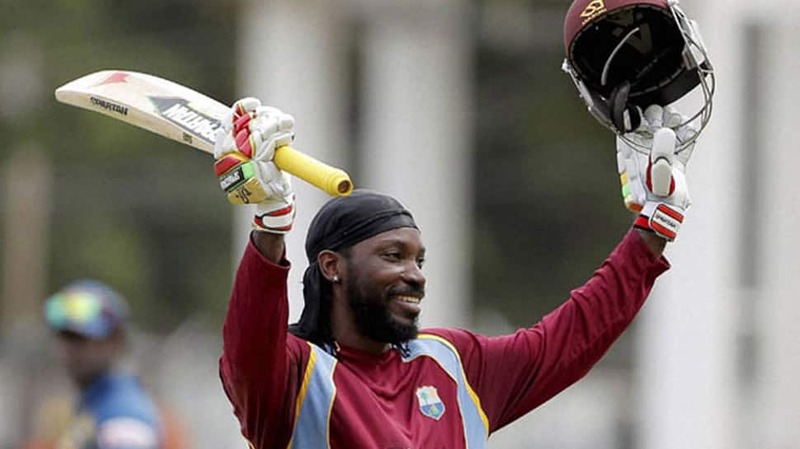 West Indian Rovman Powell comes up for Rs 50 lakh. Goes unsold. Mitchell Santner goes to Chennai for Rs 50 lakh. David Wiley from England goes unsold. Australian John Hasting goes unsold. England's Chris Jordan goes to Sunrisers Hyderabad for Rs 1 crore. South Africa opener Aiden Markram goes unsold. Ashton Agar and Hilton Cartwright also go unsold. JP Duminy goes to Mumbai Indians for Rs 1 crore. Proceedings resume. Jagadeesan Narayan sold to CSK for Rs 20 lakh. Zaheer Khan Pakteen goes to Rajasthan Royals for Rs 60 lakh. Anureet Singh goes to Rajasthan Royals for Rs 30 lakh. Nathu Singh is the last uncapped fast bowler in this list and goes unsold. Here is another break coming your way. Stay tuned, see you in 15 minutes. Fast bowler Ishwar Pandey now comes up, goes unsold. Sayan Ghosh also goes unsold. Pradeep Sangwan finds suitors in Mumbai Indians and fetches Rs 1.5 crore. Bipul Sharma goes unsold. Swapnil Singh also goes unsold. Praveen Dubey goes unsold. Abhishek Sharma sold to Delhi Daredevils for Rs 50 lakh. Another Under-19 star Shivam Mavi now comes up for Rs 20 lakh. Like Kamlesh Nagarkoti, he is super quick and one for the future. He is generating interest straight away, and he also becomes a "crorepati" having fetched Rs 3 crore from two-time champions Kolkata Knight Riders. Uncapped all-rounders. Ankit Sharma sold to Rajasthan Royals for Rs 20 lakh. Rinku Singh goes to Kolkata Knight Riders for Rs 80 lakh. Sachin Baby, meanwhile, fetches Rs 20 lakh from Sunrisers Hyderabad. Last uncapped batsman, Under-19 star Manjot Kalra goes to Delhi Daredevils for Rs 20 lakh. Uncapped batsmen now. Anmolpreet Singh goes unsold. Apoorv Wankhede gets snapped up by KKR for his base price of Rs 20 lakh. Tabraiz Shamsi from South Africa also goes unsold. Australian spinners Nathan Lyon & Fawad Ahmed and Indian spinner Pragyan Ojha go unsold. Proceedings resume at Bengaluru. Capped spinners now. Afghanistan's Mujeeb Zadran goes to Kings XI Punjab for Rs 4 crore. Dale Steyn comes up for Rs 1 crore. He recently injured himself in the India-South Africa Test series. Don't think he will get a buyer. Yes, he goes unsold. Here comes a 10-minute break for you. We will be back as and when the proceedings resume. Grab a coffee or tea in the meantime. Shardul Thakur goes to Chennai Super Kings for Rs 2.6 crore. Big buy from Delhi Daredevils. They get New Zealand fast bowler Trent Boult for Rs 2.2 crore. Jaydev Unadkar comes up with a base price of Rs 1.5 crore. Fierce bidding starts for him. Gets a whopping Rs 11.5 crore from Rajasthan Royals. That's what you call breaking the bank. Australian Nathan Coulter now for Rs 1.5 crore and bidding starts straight away for him. Goes to RCB for Rs 2.2 crore. Mohd Siraj now with a base price of Rs 1 crore. Played for SRH last year and had a great season. Recently represented India too. Sold to RCB for Rs 2.6 crore. R Vinay Kumar goes to Kolkata Knight Riders for Rs 1 crore. Sandeep Sharma sold for Rs 3 crore to Sunrisers Hyderabad. Good purchase there for SRH. He joins fellow Punjab team-mate Siddharth Kaul there. Interesting pair. Great purchases, both of them. Mohit Sharma is bought by Chennai Super Kings for Rs 2.4 crore but Kings XI Punjab use their RTM to get him back. Preity Zinta appears very pleased with this RTM. Fast bowlers now. Dhawal Kulkarni with serious IPL experience and gets sold to RCB for 75 lakh but Rajasthan Royals use their RTM to have him back. Great move there. He is a very good bowler. A lot of people will agree he deserves more money. Last allrounder in this set. Rishi Dhawan. He has also represented India but goes unsold. Mohammad Nabi, second biggest name from Afghanistan after Rashid Khan, now comes up for Rs 50 lakh. Sold to old employers Sunrisers Hyderabad for Rs 1 crore. The big-hitting Ben Cutting is under the hammer for Rs 1 crore. Sold to Mumbai Indians for Rs 2.2 crore. Corey Anderson and Moises Henriques surprisingly go unsold. Next allrounder is Gurkeerat Singh for Rs 50 lakh, has plenty of IPL experience playing for Kings XI Punjab. Sold for Rs 75 lakh to Delhi Daredevils. Back-to-back purchases for the Delhi franchise. Now comes up Jayant Yadav. He had a couple of good performances for Delhi last season. Also has scored a Test century. Gets sold for Rs 50 lakh to the old employers. Aussie allrounder Daniel Christian sold to Delhi Daredevils for Rs 1.5 crore. Pawan Negi now. His value has come down drastically. Sold to Mumbai Indians for Rs 1 crore but Royal Challengers Bangalore use their RTM to bring him back. Washington Sundar with a base price of Rs 1.5 crore. Remember, he has recently represented India in ODIs and T20Is. Allrounder with some serious talent and he invites bidding straight away. Finally is bought by Royal Challengers Bangalore for Rs 3.2 crore. Manoj Tiwary is now under the gavel for Rs 50 lakh. Sold to Kings XI Punjab for Rs 1 crore. Mandeep Singh sold to old employers Royal Challengers Bangalore for Rs 1.4 crore. Travis Head goes unsold. Aussie batsman Shaun Marsh goes unsold too. A little surprise there. He had done well for Kings XI Punjab in the last few seasons. West Indian Lendl Simmons also goes unsold. Whoa! Had played many memorable innings for Mumbai Indians. Here is the big-hitting Alex Hales for Rs 1 crore but there seems to be little interest in him and he goes unsold. Very few English players get the takers in IPL auctions. There you go, Eoin Morgan goes unsold too. Just reinforcing the point. Saurabh Tiwary with a base price of Rs 50 lakh. Goes to Mumbai Indians for Rs 80 lakh. West Indies sensation Evin Lewis now comes up for a base price of Rs 1.5 crore. Sold to Mumbai Indians for Rs 3.8 crore after a minor bidding war. This feels like a steal. Remember, Lewis is one of the few batsmen in world cricket who have got two T20I tons to his name. Meanwhile, Iqbal Abdullah and Shivil Kaushik go unsold but Murugan Ashwin is generating interest straight away and goes to Royal Challengers Bangalore for Rs 2.2 crore. 29-year-old Gowtham Krishnappa with a base price of Rs 20 lakh goes on to fetch Rs 6.2 crore from Rajasthan Royals. The Karnataka Ranji star has stunned everyone with this whopping amount. Sai Kishore Ravi Srinivaasan, Tejas Baroka and Jagadeesha Suchith go unsold. KC Cariappa remains unsold, but the bidding is underway for the big-hearted Shahbaz Nadeem. Sold to old employers Delhi Daredevils for Rs 3.2 crore. That doesn't come as a surprise. He is one of the few impressive players Delhi have had over the years. Rahul Chahar, who had a base price of Rs 20 lakh, has been sold to Mumbai Indians for Rs 1.9 crore. Uncapped spinners are first up for sale. And it's the 18-year-old Rahul Chahal up first at a base price of Rs. 20 lakh. In case you are wondering, how the teams are looking after 78 players were sold on Saturday, here's the SHOPPING BASKET OF EIGHT TEAMS.